A loaded handgun was found in a student's backpack at a Long Island elementary school, a law enforcement source says. Greg Cergol reports. A loaded handgun was found in a student's backpack at a Long Island elementary school, a law enforcement source says. A school employee found the gun in the backpack at Meadow Elementary School in Baldwin on Monday after noticing that it seemed heavy, according to the law enforcement source. The 10-year-old student was taken to the principal's office while police responded. He was processed with his father present and charged with criminal possession of a weapon on school grounds, police said. The source said it appeared to be an illegal gun taken from someone connected to the student's mother. 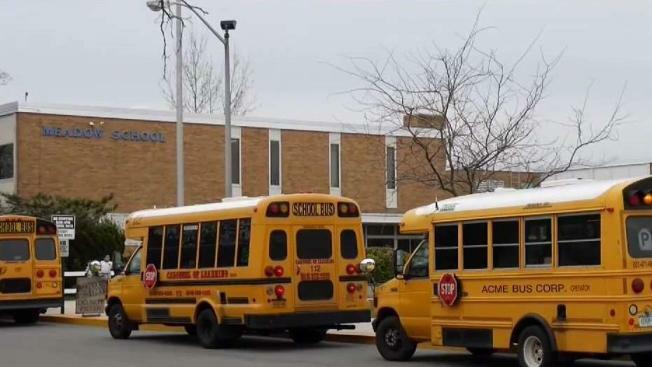 The Baldwin School District on Monday said in a statement that "staff was made aware of the occurrence, the police were notified and the situation was rectified immediately," adding that the "safety of our students and staff is always a top priority." "Due to confidentiality laws, we cannot disclose any further details," the statement added.